Next event: Sunday 15th September 2019. Three fashion shows & over 50 Wedding suppliers. Guided venue tours by the Racecourse events team. With up to 70 exhibitors, three fashion shows and free entrance and parking, this wedding show is a must see. Situated in the Queens stand at Epsom, this event has become one of the best wedding shows in the area, at each show there are between 50 - 70 exhibitors. Open from 11am-4pm, free entrance and parking. With three fashion shows throughout the day as well as guided tours around the venue. Train stations: Served by three stations - Epsom, Epsom Downs and Tattenham Corner. Check timetables for service on the day of events. 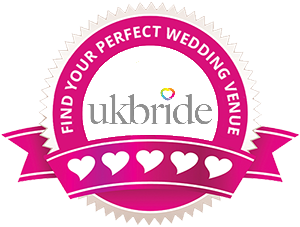 Get married at Epsom Downs Racecourse! Epsom has beautiful views of the Downs one side, and the London skyline the other, perfect for all weddings. The Epsom Sales & Events team will be exhibiting at the show and are also taking bookings for appointments & show rounds. Call the team now on 01372 460460. They will have level 2 set up for couples to tour. View their website. There will be lots of helpful tools and tips to help you plan your wedding, with free wedding guides and talks from a leading wedding advisor. With great transport links and large car parks, Epsom Downs Racecourse is easy to find and get too.